Farrar, Straus and Giroux (BYR), 9780374304041, 336pp. Desi Lee believes anything is possible if you have a plan. That's how she became student body president. Varsity soccer star. And it's how she'll get into Stanford. But she's never had a boyfriend. In fact, she's a disaster at romance, a clumsy, stammering humiliation magnet whose botched attempts at flirting have become legendary with her friends. So when the hottest human specimen to have ever lived walks into her life one day, Desi finds guidance in the Korean dramas her father has been obsessively watching for years—where the hapless heroine always seems to end up in the arms of her true love by episode ten. It's a simple formula, and Desi is a quick study. Armed with her "K Drama Steps to True Love," Desi goes after the moody, elusive artist Luca Drakos—and boat rescues, love triangles, and staged car crashes ensue. 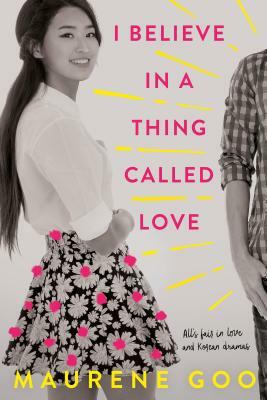 But when the fun and games turn to true feels, Desi finds out that real love is about way more than just drama.